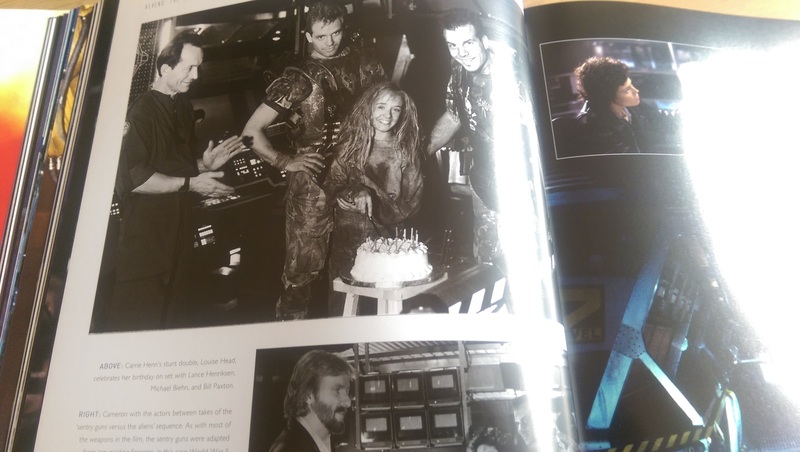 2016 marks the 30th anniversary of James Cameron’s Aliens and it only seems suitable that 20th Century Fox would celebrate the occasion with innumerable releases and events. We’ve had our first official Alien Day (it was originally started by fans), brand new trading card set, new games and plenty more. One of those things under the plenty more is what we’re here to look at today! 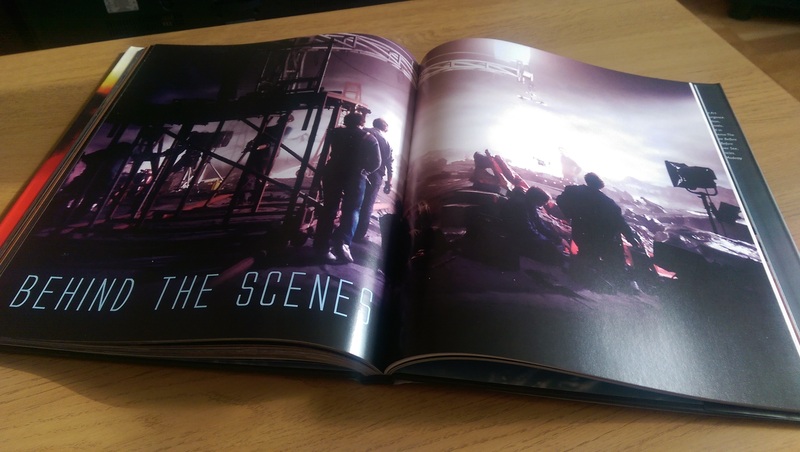 Titan Book’s Aliens: The Set Photography. 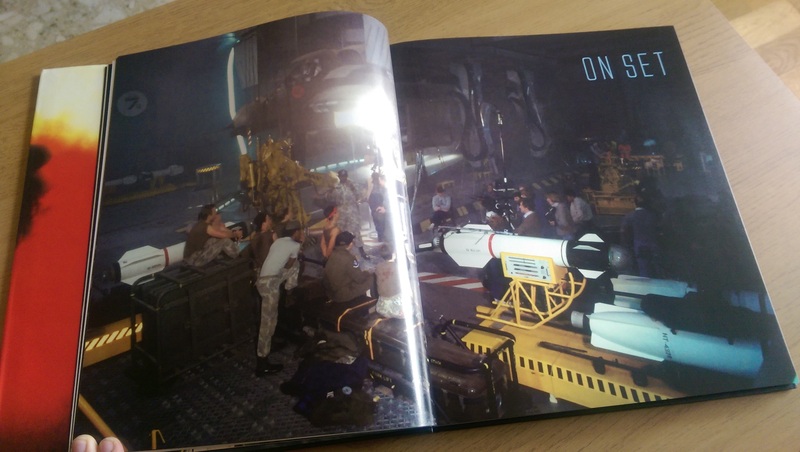 I don’t think it would be unfair to say that Aliens has seen the less amount of behind the scenes book focused solely on it so Aliens: The Set Photography is a welcome addition to the catalogue. 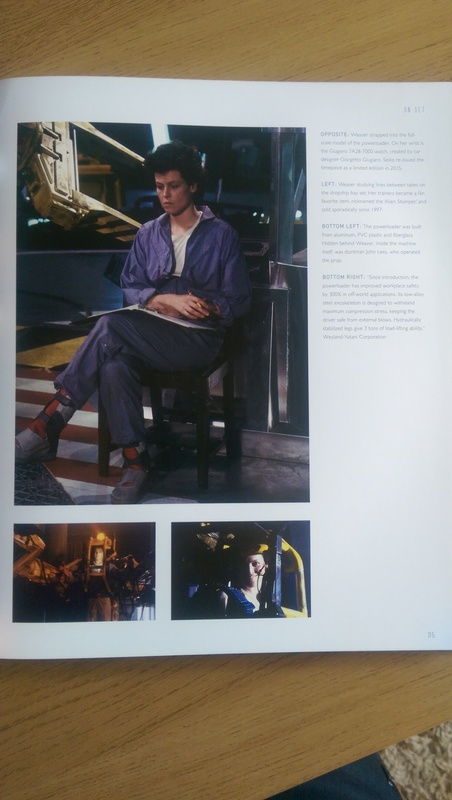 Aliens: The Set Photography is separated in four distinct sections, Carrie Henn: Memories of Filming, Cast and Crew, On Set and Behind the Scenes. 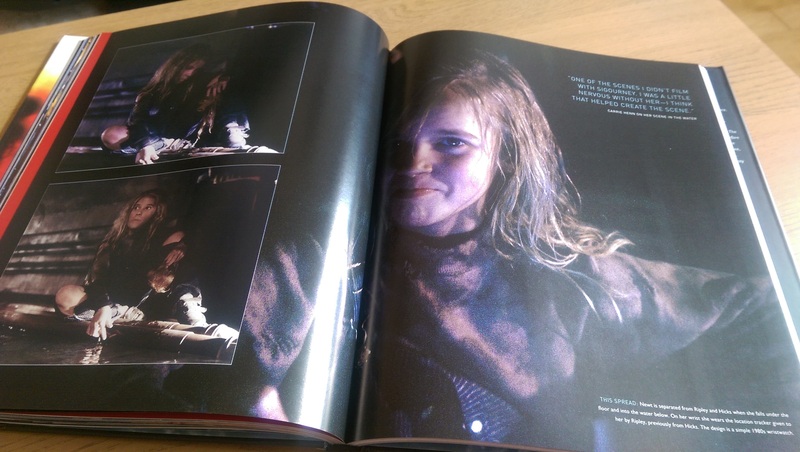 The biggest block of text is in Carrie’s foreword and the rest is, as expected, full to the brim with photos. 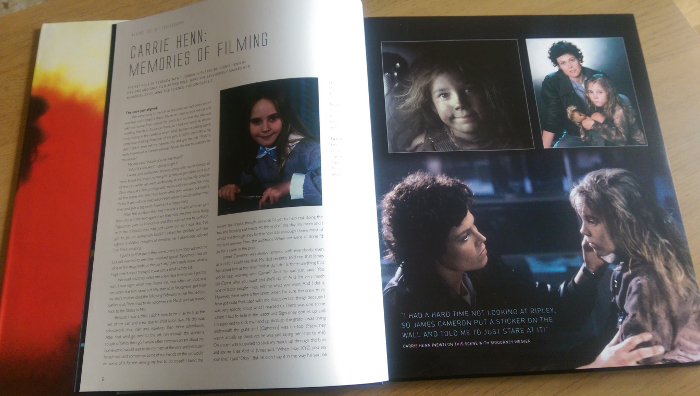 Aliens: The Set Photography is prefaced with a lovely foreword from Carrie Henn which recounts her personal journey throughout her time on the film. 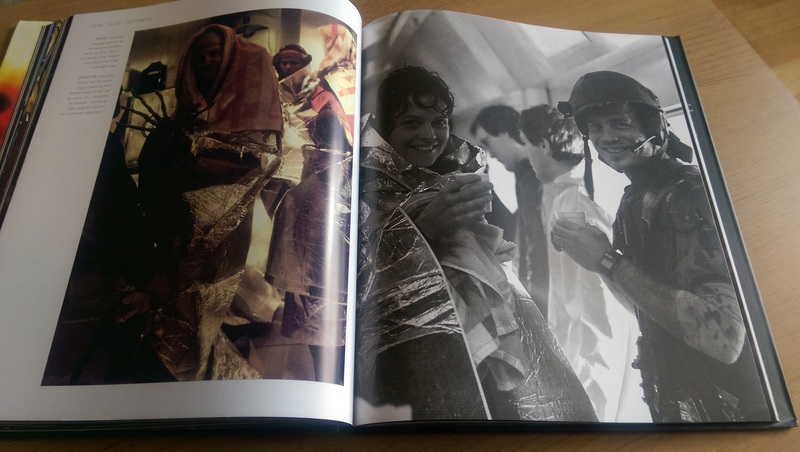 Henn also provides additional commentary throughout the book, adding context or stories to many of the numerous photos. There are also several pieces of commentary provided by Jeanette Goldstein and Tom Woodruff Jr, adding further personal touches to Simon Ward’s captions. who provides the bulk of the captions throughout. The Cast and Crew section is just a short section with headshots of the various cast members and some of the crew. Unfortunately it doesn’t include all of the cast, only the more prominent cast members and only some of the crew. It’s limited to those who also feature in the galleries in the Anthology and Quadrilogy sets. The largest section is the On Set section. It’s further separated in to chapters which follows a chronological order of the story of Aliens. 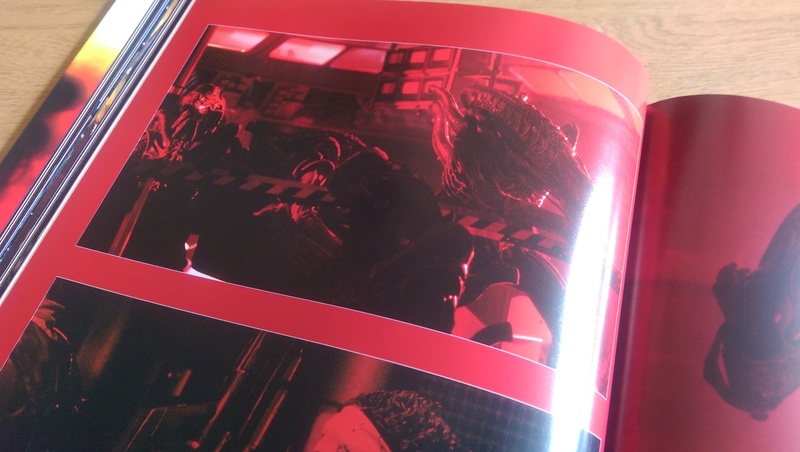 I would say that the bulk of the pictures are in this section and it is largely made up on the production stills that you can find on the Alien Quadrilogy or Anthology sets. And finally the Behind the Scenes section. 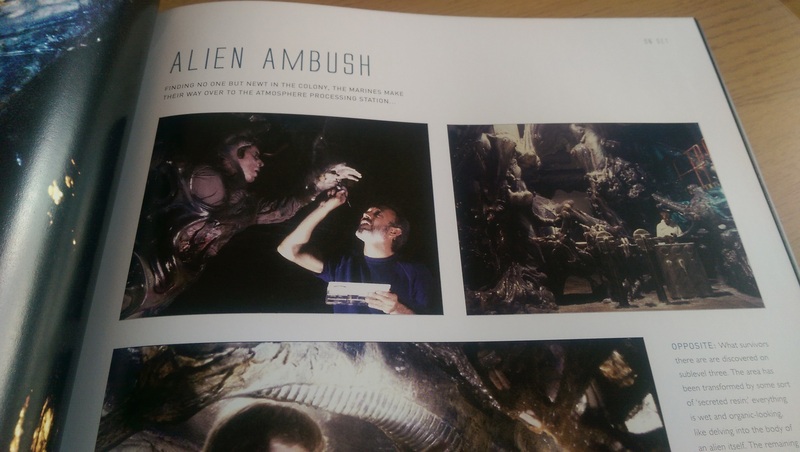 The Alien suits recieve the most attention with a 10 page spread of some gorgeous stills from Stan Winston’s workshop. You’ll see plenty of pictures featuring Alien effects alumni Tom Woodruff Jr! The other aspects of the behind the scenes story only receive 2 or 4-page spreads, unfortunately. The section looking at the Hive is far too short. I would have loved to have seen more than the 4 pictures provided! 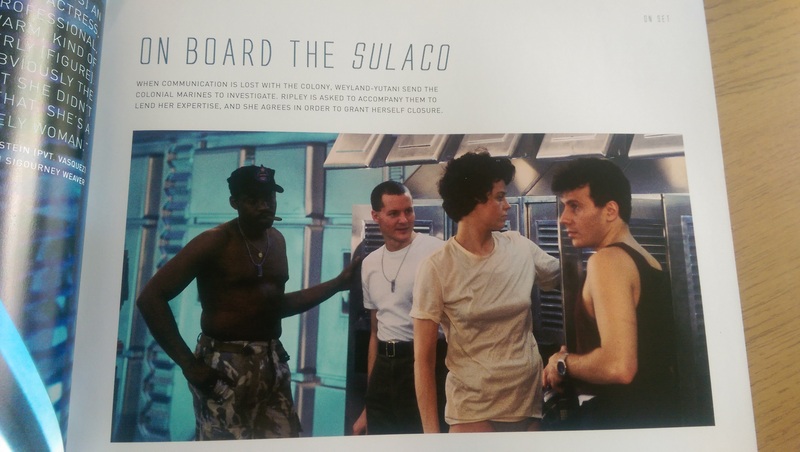 Those of you who are familiar with the existing behind the scenes images from Aliens will not find anything new or recently uncovered in Aliens: The Set Photography. 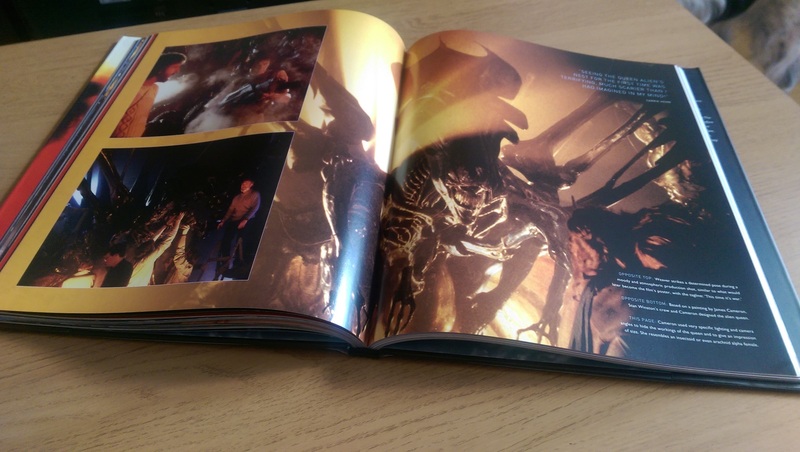 The majority of the stills are available to those who have looked through the galleries on the Alien Quadrilogy or Alien Anthology. However, I did see a couple of stills that I wasn’t familiar with or weren’t in those sets but it wasn’t many. 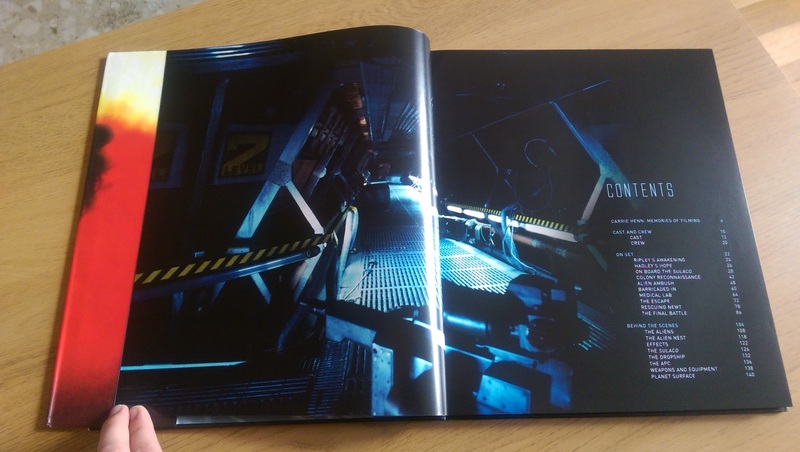 So if you’re coming to Aliens: The Set Photography for some brand new imagery or information, this might not be the one for you. 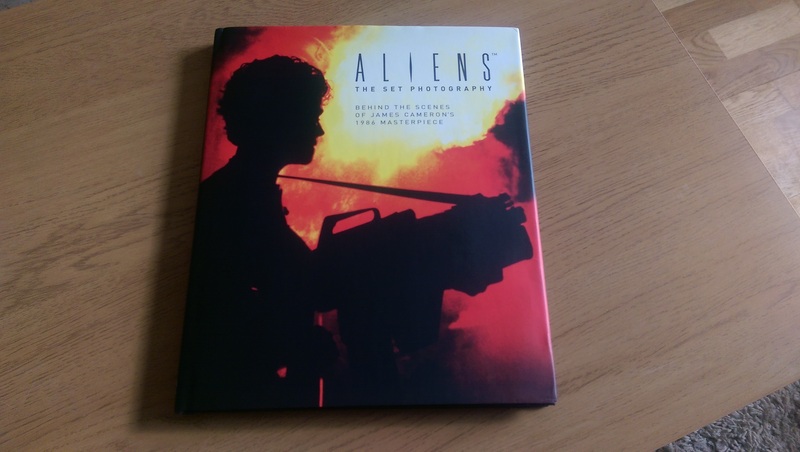 Aliens: The Set Photography wont reveal brand new stills but it is a wonderfully presented book. For the fans who haven’t sat through the galleries or hunted the internet, you’ll find quite a few images that are likely to be unfamiliar to you. 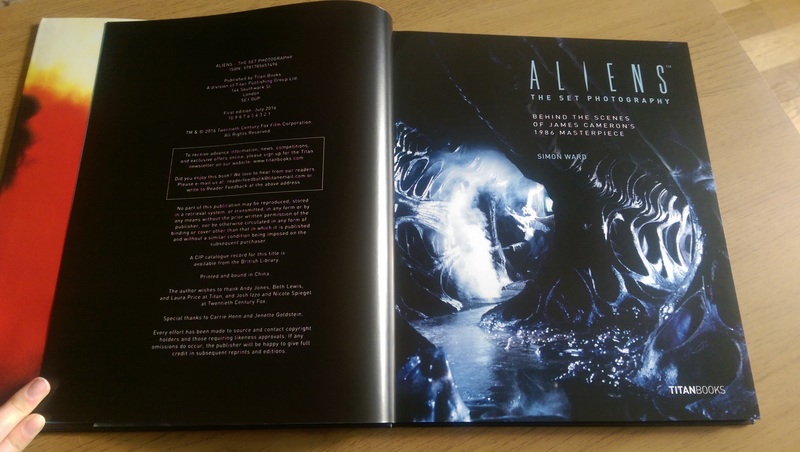 Aside from a couple of pictures of less than perfect quality, all the stills are beautifully printed and look fantastic in this book. 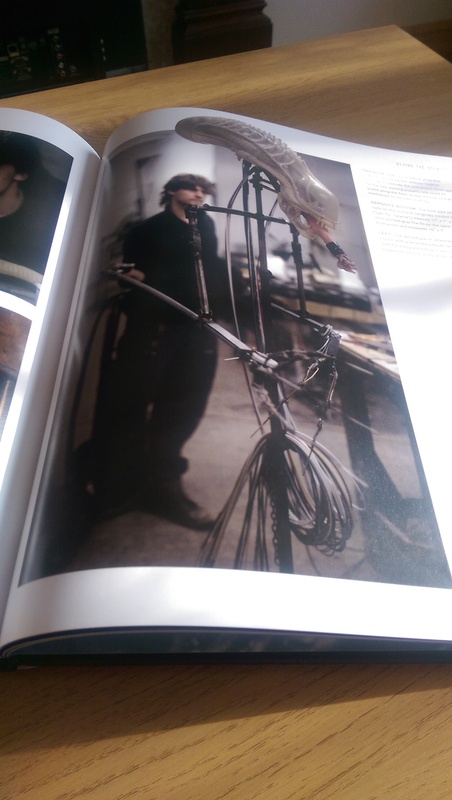 The paper stock used in the book is wonderful and helps to make these images look great in print. 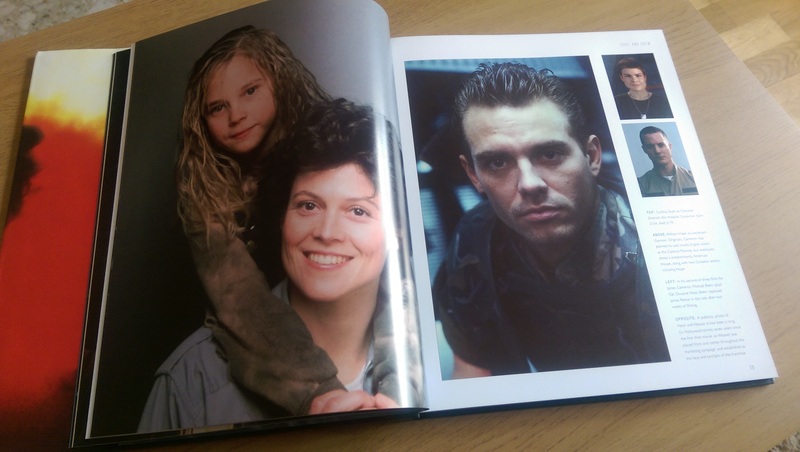 As the name suggests, the book is primarily stills from behind the scenes of Aliens. There’s very little in the way of text aside from the captions so don’t expect a comprehensive behind the scenes accounting of the film. 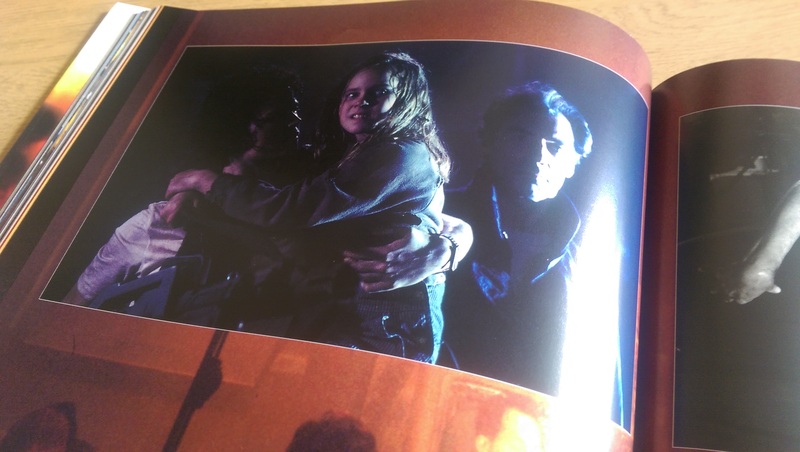 Perhaps Louise Head’s on set birthday photo will stop being used for Carrie Henn’s birthday now though! Something I liked was that Ward provided a few captions with information taken from Lee Brimmicombe-Wood’s Aliens: Colonial Marines Technical Manual which will likely be new information for readers (I haven’t read it all myself – it’s a little too dry for my tastes – though Darkness took a look at it when it was republished). This may not be for everyone, however, as it’s out of the context of behind the scenes information. Unfortunately, there are also a few errors and blunders scattered throughout the captions that some readers may find distracting. One particular blunder that I found annoying was referring to the Pulse Rifles as Plasma Rifles. It’s nothing major but it was an annoyance. There’s really very little else to say about Aliens: The Set Photography. It does exactly what it says on the cover. 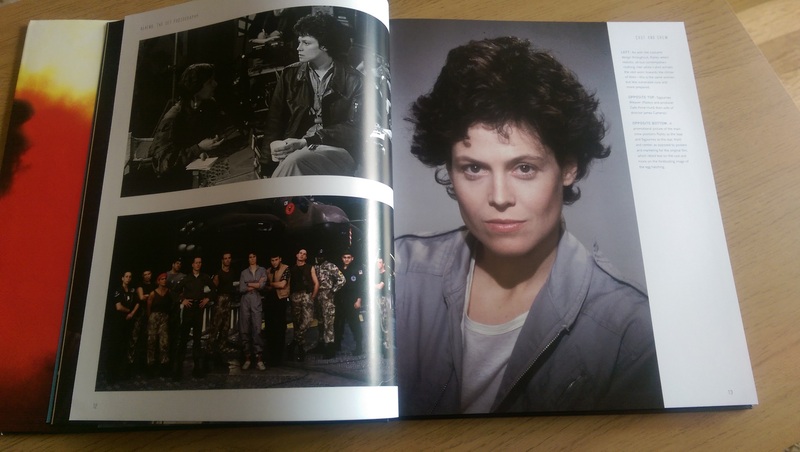 It’s a large, hardback book that is full to brim with gorgeous looking photographs from behind the scenes of Aliens. 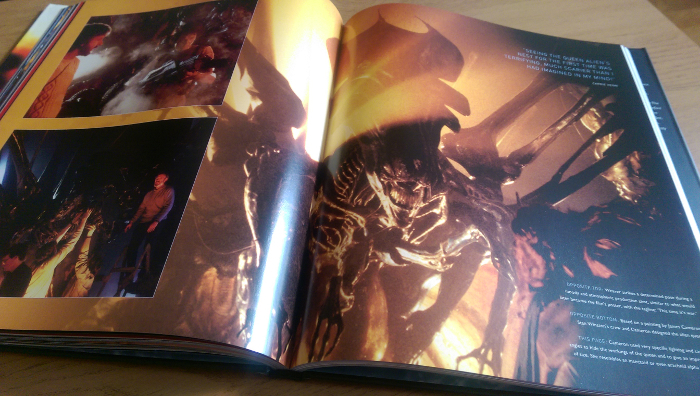 Aliens: The Set Photography is a lovely additional to the small amount of books that focus specifically on Aliens. It’s great for when you don’t want to skip through the galleries on your Blu-ray, it looks great on the shelve or on the coffee table. The only real complaint I have is that aside from being beautifully presented, there’s very little in there for fans who have already seen the vast majority of these pictures. From Aaron Percival, here at Alien vs. 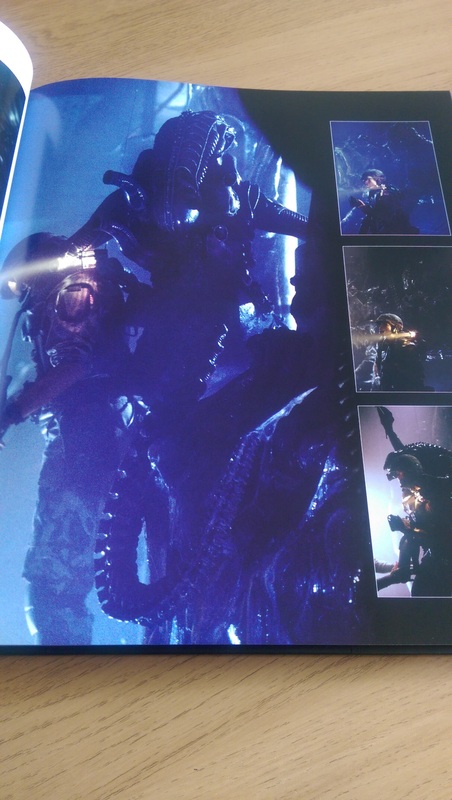 Predator Galaxy, I award Aliens – The Set Photography 7 out of 10. Great book with content to read along with great pictures. The images are not HD their fuzzy SD not HD high resolution.